A few months ago I wrote a somewhat controversial article for Precision Nutrition entitled Carb controversy: Why low-carb diets have got it all wrong. The purpose of the article was to show that people’s carbohydrate needs vary depending on several factors, most importantly your activity level. Many took the article to be bashing a low or lower carb approach, which it really was not. The title might make it seem that way, but the piece itself made it clear that there is a time and a place for a low carb approach. It’s just not all the time, for everyone. the greatest flexibility and freedom in food and meal choices, allowing for the greatest long-term consistency (the real key to sustained success). 1. The general population (of which about 70% tends to be overweight). 3. Insulin resistant and/or sedentary individuals. The goals of the general population tend to be fairly modest. They often just want practical and reasonable approaches to help them find a sustainable path to their goals. The approach I provided will do just that. The fitness crowd tends to be a little carb-shy, much to their detriment. It is something that the Paleo/Crossfit crowd has discovered. They have been recommending people up their intake of carbs lately (generally from things like sweet potatoes) as they have discovered that long-term intense training combined with a low carb diet generally does not turn out well. People in the fitness industry, or who just love fitness, should match their carb intake to their genetics, goals and activity levels. They might be surprised what they find when they do. Insulin resistant and/or sedentary individuals would do better with a reduced carbohydrate intake. Probably in that 1 standard deviation less than the average. In this case, the average carbohydrate intake that I was advocating for was only about 40% of calories. Assuming you eat about 4 times per day, this equates to ~2 cupped handfuls of carbs for men and ~1 cupped handful of carbs for women per meal. We generally recommend that insulin resistant and/or sedentary individuals cut carbs back to about 25% of calories. This equates to ~1 cupped handful of carbs for men and ~0.5 cupped handful of carbs for women per meal. People who are insulin resistant simply do not handle carbs well. And people who are sedentary simply do not need as many since they are not as active. To put the final nail in the coffin, here are a few studies you may find interesting. I hope that provides a little clarity on the topic for everybody. And if you pick up a copy of my Nutrition Guide to Kevin Neeld’s new Ultimate Hockey Transformation, you will now have an even better idea of why I make the carbohydrate recommendations that I do. In this new program Kevin provides incredible in- and off-season programs for players at the U14, U16, U18, and Junior/College levels. He also provides a comprehensive video database of every exercise in the program. Along with a great manual describing why the programs are designed the way they are and exactly how to use/adjust them based on time, space, equipment, etc. It has everything you would ever need to make yourself into the best hockey player you can be. I simply wanted to share 2 incredible new PN articles that I have had a hand in shaping. While they are officially credited to JB, who did write the majority of each one, several of us also had a hand in editing the piece and adding our thoughts. With so many bright minds involved, it turned good articles into incredible ones, that are worth sharing with as many people as possible. They are that good. Paleo, vegan, intermittent fasting…what’s the bests diet? I hope you guys are doing well! I just wanted to send you two a quick note of thanks. The Show & Go System has made considerable changes to my body, both outside and inside. I’m not brutally strong, but strong for someone who wasn’t blessed with the strong gene. I could go on and on about the gains, but the primary reason I’m emailing is to thank BSP for the Show and Go Nutrition Guide and to thank EC for including it. My family has a notorious history of heart disease. My dad’s grandpa died from his first heart attack at 50, my dad’s dad died at 56 (he had four heart attacks and three strokes), my dad’s uncle died from his first heart attack at 62, and my dad had his first heart attack at 48 (thankfully still alive). Odds not trending in my favor. I know these aren’t the only indicators of health, but they are pretty damn important to heart health. I owe just about all of the changes I’ve made to you two! This is crazy! Oh, and all while eating 5 eggs just about every day, in light of the new study released here:http://www.sciencedirect.com/science/article/pii/S0021915012005047. Be aware that that study’s statistical interpretations are extremely suspect. Plus, any time you see researchers arbitrarily categorizing continuous variables (e.g., into quintiles) be skeptical immediately. Far too much information is lost due to categorization! Anyways, thanks again and keep producing quality programs and providing quality information! I would say those results truly speak for themselves! In a matter of 1.5 years he was able to gain 21lbs of lean body mass (muscle and its associated components, bone, etc) and lose 4lbs of fat mass, while gaining tremendous strength and drastically improving his health to boot! A recent review determined the Triglyceride to HDL ratio as the best single predictor of heart disease risk, with a goal of 2 or less. His ratio went from 2.025 to a fantastic 0.86! Not only that he was able to lower his LDL levels while consuming 5 whole eggs per day, pretty impressive stuff if you ask me. Show and Go: High Performance Training to Look, Feel & Move Better is on sale for $50 off from now through Sunday, September 9 at midnight. Do yourself a favor and grab a copy of this incredible and comprehensive training program, and at the same time purchase the tag along Show and Go Nutrition Guide, written by yours truly. You won’t regret it, as you can see it can help you improve your healthy, body composition and performance all at the same time. Training the core is one of the most controversial topics in the entire fitness industry. It ranges from some people doing almost all sit-ups, crunches, side-bends and other forms of spinal flexion vs others doing only plank variations where they draw their stomach in towards their spine and then everyone in between. The question is – Who’s right? Well Mike Robertson has decided to answer that question with the most comprehensive core product the industry has ever seen – Complete Core Fitness. Mike covers a bunch of research, breaks down the anatomy and the kinetic role of the core musculature and the unit as a whole, and relates this into a proper core training philosophy and protocol. In his usual manner Mike provides this incredible info in an easy-to-understand slideshow, interjected with a little humor and anecdotes from his vast training experience that makes this product worth every penny. If you are a strength coach, physical therapist or a fitness enthusiast then this is a must have for your training library! Complete Core Fitness includess 7 webinar modules, for 3 hours of total content covering everything about the core. Topics include Mike’s philosophy on core training, functional anatomy, his assessment process, and then the four phases of core training he uses with clients and athletes. Everything is covered here – assessment, program design, coaching, cuing, the works. Literally it’s step-by-step in nature. There are four bonus products (including one 2-hour webinar by Evan Osar) and then you also get the Powerpoint slides and an additional 80 minutes of audio Q&A to download. I have personally watched the entire webinar (I got an early release version) I can tell you that it is absolutely fantastic. I have pages worth of notes as Mike just had so many valuable little tidbits of information even though a lot of what he teaches is what I believe and learned at Cressey Performance. Even with similar ideas and philosophies, I found a ton of info and tips were invaluable. Some were just little ideas that made a few things click, others were ways of saying things or coaching cues that I felt would work well with clients. Mike really covered it all and taught me a bunch of stuff in the process! Which I know maybe doesn’t sound that hard, but considering again our similar philosophies on the topic as well as the fact that I have seen Mike give seminars on this very topic, I was still able to walk away armed with a more information to make me better at what I do, and that is always the measure of a good product. So again if you are a strength coach or a personal trainer this is an absolutely must-have, no questions asked. If you are a fitness enthusiast or one of the 80% of Americans who suffers from low back pain, then this product will also be invaluable to you. This week only the Complete Core Fitness is on sale price for $30 off the usual price, so act fast! How many small business owners get any business training? Unless you went to school for business, most likely not much. How many dentists, electricians, doctors, painters, chefs, nutritionists and trainers/strength coaches get any direction or quality information on how to run their business? Not many. While being good at what you do is imperative, and without that it doesn’t matter how good your business skills are, it still will not maximize your success. I’m not just talking about making money, I’m talking about the amount of people you can work with and provide a quality service too. If you do not have a good business plan you will fail or at least fail to thrive, regardless of your skill set. Fortunately for all of us in the fitness industry there is hope. Eric Cressey, Mike Robertson and Pat Rigsby have worked together to create an incredible product, the Fitness Business Blueprint. It covers things on the actual training side – intake/assessment, program design, coaching, etc as well as thoroughly providing you with a blueprint for business success. Pat is one of the most successful business coaches in the fitness industry, and has helped thousands of strength coaches and trainers create thriving personal facilities. EC and MR both own their own incredibly successful facilities and have learned tons of valuable lessons along the way. 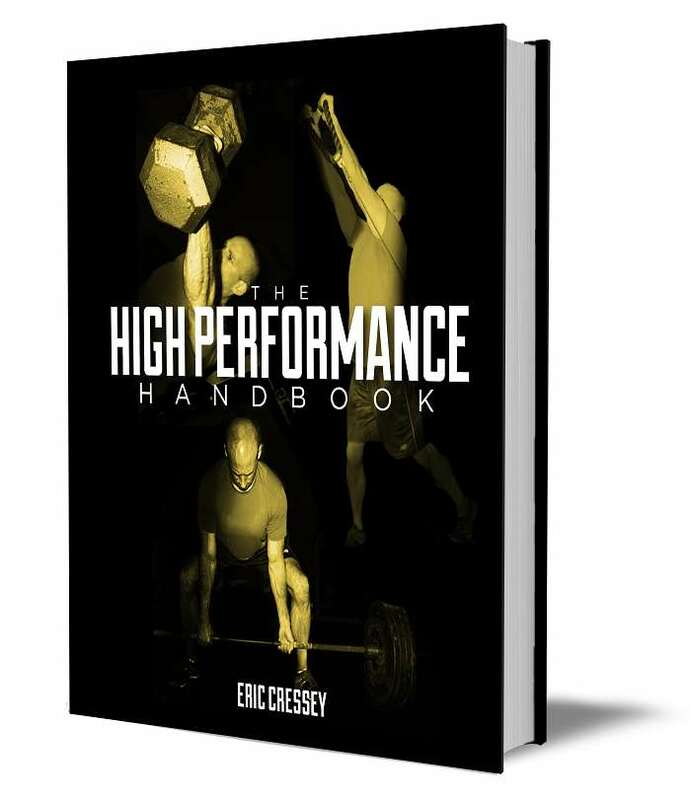 I was personally on the ground floor of Cressey Performance as it grew from a small facility with 37 clients to a 7,600 sq ft comprehensive training center with several hundred clients. I was able to witness the implementation of new and improved business models as the EC and the CP team grew and got better. This isn’t advice from some internet expert, this is advice and strategies from guys who have successfully done what so many of us want to do. This product will allow you to stand on the shoulders of giants. The Fitness Business Blueprint is a comprehensive product to help any trainer or strength coach finally break out of the big box gym and start running their own place, work their desired schedule, and make their desired income, and it is for sale right now! Mike Boyle recently wrote an absolutely phenomenal article called Training is like Farming, which I am re-posting here because I think it is that good. This analogy is absolutely perfect, and it is something that I can never emphasize enough to my clients. You get out what you put in, period. 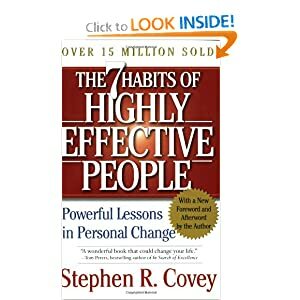 I think I remember Stephen Covey in his book Seven Habits of Highly Effective People (Note from BSP – this is a fantastic book!) making reference to what I believe he called “the law of the farm.” The reference was meant to show that most of the truly good things in life take time and can’t be forced or rushed. 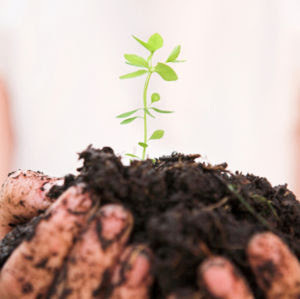 Covey described the process of farming and alluded to how it requires patience and diligence to grow crops properly. In addition, farming requires belief in the system. The farmer must believe that all the hard work and preparation will eventually yield a long-term result. I hope you all had a wonderful 4th of July. It was a lovely day up here in Maine so I hope that weather shared with everyone else. In the spirit of summer truly starting, I wanted to share some feedback with a client who contacted me in late winter to try and get lean for the summer. This was a guy who had been training for a while, and was big and strong, but had a few more lbs than he wanted. He had dieted before and gotten results, but it was crazy strict and he could never maintain that leanness or enjoy life at the same time! So he contacted me to see if he could find a nutrition plan to achieve a more sustainable level of leanness and still be able to party with his friends down on the Jersey Shore. His goal was to lose 15-20lbs and keep it off. We had a phone consult where we discussed my analysis of his current intake and prior dieting experience, the sad fact that he was from Jersey (kidding), as well as various other questions he had. I also sent him my nutrition packet, grocery list and finally, his personalized nutrition plan. I wanted to take a minute to follow up with you. Since I began the nutrition plan at the beginning of March, I have lost 18.5 lbs as of this morning(June 24)! Feeling and looking good. I’m not shredded, but I’m much, much leaner. If i had to guess, I’m between 9-10% body fat. That’s down from 14.5% according to one of those gadgets you grip. Clearly he has made tremendous progress, and has been able to lose just over 1lb per week while not being perfect, partying on the weekends (1 night) and as he put it, living like a real person. These are real-world results, and his eating has now developed into lifestyle that he can sustain for the long haul. He has been able to make this progress through rough weekends, graduation parties and more while not depriving himself. If your goal is to be 4% bodyfat and step on stage in a Speedo, then this plan isn’t for you. If your goal is to be healthy and fit, with an eye on your long-term health and success, then you have come to the right place.